Thanks for visiting our Kensington, Maryland home care information portal. Professional Healthcare Resources is a longstanding, highly regarded company that has been providing home care in this area since 1994. We sincerely care about the well-being of the people that we serve, and it shows when you interact with anyone on our team. Kensington is a historic Montgomery County town that was originally incorporated back in 1894. It has a charming, small-town feel that makes it a great place to live, and the trappings of a big city are nearby. We serve all parts of town, from Parkwood to Town Center to Connecticut Gardens and everywhere in between. 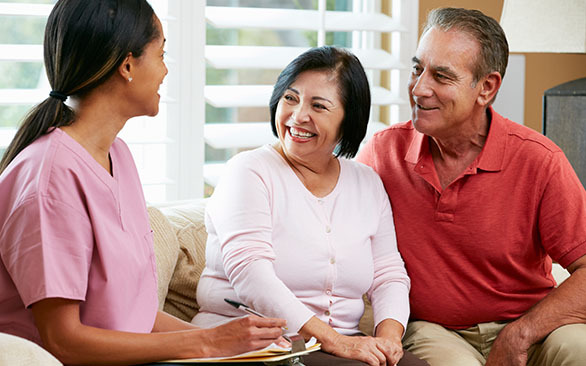 Simply put, for home care in Kensington, Maryland Professional Healthcare Resources is the right choice. There is an unprecedented aging of the population underway at the present time because of the fact that the baby boomers are attaining senior citizen status. As you get older, you may start to experience physical limitations. 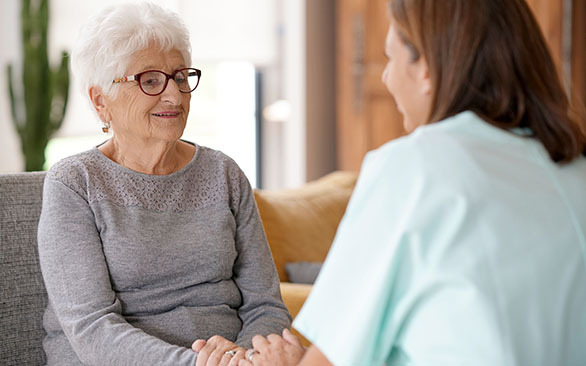 Under these circumstances, elder care can be required, and this is a type of home care Kensington, Maryland residents can receive from our company. When you are recovering from surgery or another medical procedure, it can be difficult to get around. At the same time, physical therapy is often going to be necessary. It can certainly be daunting to get to a physical therapy center when mobility is an issue. If you are in this position, you do not have to struggle to get to a physical therapist. We have a team of highly experienced physical therapy professionals that are always ready to spring into action. In addition to general physical therapy, we also offer specific forms of therapy, like occupational therapy and speech therapy. Another form of Kensington, Maryland home care that we provide is skilled nursing care. Our nurses can provide infusion therapy and injections, lab draws, central line and port maintenance, wound care, tube feeding, and many other home care services. You can always rely on Professional Healthcare Resources for skilled nursing care, physical therapy, and other types of home care in Kensington, Maryland. And when we say “always,” we mean it quite literally, because we are available around clock, 7 days a week. Whenever you need us, we can be reached by phone at 703-752-8700. We also have a contact form on this website that can be used to send us a message.